Credit: National Oceanic and Atmospheric Administration/Department of Commerce. All of the above show a pain system in fish that is similar to that of mammals and birds. “most vertebrate animals which have been investigated seem to have very similar pain receptors and associated central nervous pathways”. Endogenous opioids are substances produced in the brain in order to reduce pain. “One has to ask why they are needed in fish if these animals do not experience pain”. “The distribution of enkephalins in the fish brain shows a similar pattern to that seen in higher vertebrates”. “one has to ask why they are needed in fish if these animals do not experience pain”. The processing of pain in fish involves the brain. Electrical activity has been measured in the forebrain of trout and goldfish. Measurements differed for fish subjected to something noxious (e.g. heated prods) than for something harmless (e.g. being stoked with a paint brush). The fact that activity occurs in the brain when they experience harmful stimuli, suggests that responses seen in fish are more than just reflexes, and that a feeling of pain is involved. The pain receptors of fish connect, via sensory pathways, to the brain. In fish, as in other vertebrates, information received by nociceptors (pain receptors) in the skin is relayed to the brain via two major routes. Information from the head is sent via the trigeminal tract, while information from the rest of the body is sent via the spinothalamic tract. In fish, the trigeminal tract has been shown to project to the thalamus (part of the diencephalon in the forebrain) as it does in other vertebrates. Analgesics (i.e. pain killers) work on fish, which gives further evidence of a fish pain system similar to that of other vertebrates, such as mammals. Analgesics reduce the adverse behaviour seen in response to noxious (harmful) stimuli, and this indicates that a feeling of pain is involved. Some of the research by Sneddon et al into pain perception in rainbow trout is discussed in (vii) below. Rainbow trout that had been injected in the lips with acetic acid (a noxious substance) showed adverse behaviour. They were observed rubbing their lips on the substrate of the tank and displayed a rocking behaviour, as well as a faster breathing rate. In a separate study, Sneddon et al showed that when morphine was administered to the fish, these effects were reduced. AHAW goes on to cite research in which goldfish subjected to electric shocks show agitated swimming, but if injected with morphine, the threshold for this response increased. There is evidence that fish can learn to avoid noxious (harmful) stimuli, such as common carp and pike avoiding hooks in angling trials and goldfish that have learnt to avoid electric shocks. 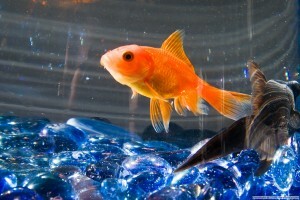 In one experiment, paradise fish were given an electric shock when they entered a black compartment. They subsequently avoided the black compartment and learned to activate an escape hatch to avoid further shocks. Avoidance learning has also been seen in rainbow trout, as discussed on the page fish feel fear. (vii) The suspension of normal behaviour associated with a noxious stimulus. It is sometimes argued by critics of fish sentience that, although fish can detect noxious (harmful) stimuli through nociceptors (pain receptors), that their response is a reflex behaviour without feeling. 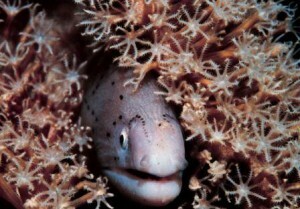 However, the behavioural responses seen in fish, to stimuli known to be painful in humans (e.g. bee venom), appear to be more than just reflexes. “Reflex responses occur instantaneously and within a few seconds but some of the responses of fish may be prolonged to 3 to 6 hours”. “These fish showed an enhanced respiration rate for approximately 3 hours, did not feed within this period, and showed anomalous behaviours such as rubbing of the affected area on the aquarium substratum and glass and rocking from side to side on either pectoral fin”. In a separate study by Sneddon et al, fish injected with acid also failed to show their normal fear response to a novel challenge. Rainbow trout are fearful of novel objects and try to keep a distance from them, at least for a period of time. The failure of these fish to avoid new objects indicates that the painful stimulus dominated their attention. This research into pain perception in fish was widely reported in the media in 2003 (see BBC report fish do feel pain). “Morphine had some effect on their behaviour in the test, but the major effect was this response two hours later. That was really key…Those fish not given morphine showed hovering behaviour and were less active. These are defence and fear behaviours. “We believe this hovering and inactivity are indicators of a general increase in fearfulness, wariness, and a generalisation of a bad experience. It is extremely difficult to explain this two hours later as a reflex”.